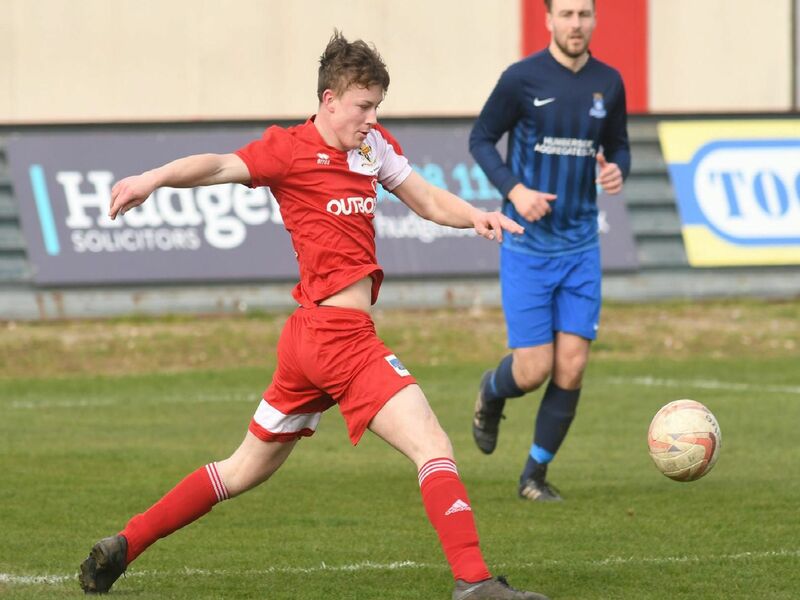 Bridlington Town Reserves moved into the semi-finals of the Whiteheads Fish and Chip Cup after beating North Cave 4-0 on Saturday. Dominick Taylor was at Queensgate to take photos for the Bridlington Free Press. Bridlington Town's Andy Higgins is fouled by a North Cave defender.